It is time again for Nigerians living abroad to think home. In the age of globalisation, Nigerians in the Diaspora do not have to return home to contribute to the development of their country. They can do so through several means and ways. And one of these is to subscribe to the Diaspora Bond issued by Nigeria’s Debt Management Office, DMO. The Federal Government of Nigeria (FGN) on June 13, 2017, through the DMO, commenced road shows in the United States, United Kingdom and Switzerland, for the country’s first Diaspora Bond of 300 million dollars. The Director-General of the DMO, Dr. Abraham Nwankwo is leading the FGN delegation comprising representatives from the Central bank of Nigeria, Ministry of Finance to the roadshow. The Minister of Finance, Mrs. Kemi Adeosun is currently engaged with working details of the newly signed 2017 budget – hence her inability to lead the roadshow. The nation’s debt office, DMO has already filed a registration statement for the bonds with the U.S. Securities and Exchange Commission. Documents sighted on the Diaspora Bond indicate that application would be made for the bonds to be admitted to the official list of the UK Listing Authority and the London Stock Exchange to ensure that the bonds were admitted to trading on the London Stock Exchange’s regulated market. The document added that there would be a series of investors meetings in the UK, the U. S. and Switzerland from June 13. It further noted that pricing was expected to occur following the investor meetings and subject to market conditions. The bonds will be direct general obligations of Nigeria and will be denominated in U.S. dollars. The international Joint Lead Managers are Bank of America Merrill Lynch and The Standard Bank of South Africa Limited, while the Nigerian Joint Lead Managers are First Bank of Nigeria Limited and United Bank for Africa Plc. So what are Diaspora Bonds? They are simply bonds issued by a country to its own citizens’ abroad (Diaspora) to tap in their wealth in the adopted developed countries. They are essentially a form of government debt that targets members of the national community abroad. Sale of the bond can be restricted solely to members of a particular nationality or opened to all buyers, with nationals receiving a preferential rate. The bond represents an opportunity for cash-strapped developing countries to gain access to the financial resources of their citizens abroad, something that has been tried and tested by two countries with famously large and industrious diaspora populations- Israel and India. For governments that have large diaspora populations, the bonds provide an opportunity to tap into a capital market beyond international investors, foreign direct investment, or loans. It is an attractive source of funding for governments that have experienced difficulties raising money on the international market or attracting investment. While Nigeria is not among countries unable to raise funds from the international markets or attract foreign investments, her citizens are among the largest, and perhaps the richest diaspora populations in the world. There are over 17 million Nigerians in The Diaspora who send money home annually for various reasons. The total remittances by such Nigerians ranks second to the proceeds from petroleum as foreign exchange earners. United Kingdom and United States of America are said to have over two million Nigerians each. According to the World Bank’s Migration and Remittances Fact book 2016, remittances from Nigerians living abroad hit $20.77 billion in 2015, making Nigeria the sixth largest recipient of remittances in the world. The report says remittances to Nigeria rose every year over the last decade from $16.93 billion in 2006 to $20.83 billion in 2014. And in 2016, remittances by Nigerians abroad were over $35 billion. This was the highest in Africa and the third largest in the world. The top two sources for Nigerian diaspora remittances in 2015 were the United States ($5.7 billion) and the United Kingdom ($3.7 billion). Between 2011 and 2014, Nigerians in the Diaspora had remitted $63.17billion (N10.35trillion) into the country. Analysis of remittances showed that $11billion (N1.8trillion) was remitted in 2011, $21billion (N3.44trillion) in 2012, $20.77billion (N3.40trillion) in 2013 and $10.40billion (N1.7trillion) in the first half of 2014. The global top ten remittance recipients this year were India ($72.2bn), China ($63.9bn), the Philippines ($29.7bn), Mexico ($25.7bn), France ($24.6bn), Nigeria ($20.77bn), the Arab Republic of Egypt ($20.4bn), Pakistan ($20.1bn), Germany ($17.5bn), and Bangladesh ($15.8bn). Nigeria tops the top ten remittance recipients in Africa with $20.77bn, followed by Ghana ($2.0bn), Senegal ($1.6bn), Kenya ($1.6bn), South Africa ($1.0bn), Uganda ($0.9bn), Mali ($0.9bn), Ethiopia ($0.6bn), Liberia ($0.5bn), and Sudan ($0.5bn). This is a huge potential source of funding for Nigeria which has battled deficits in the national budgets in recent years. The DMO under the cerebral Dr. Abraham Nwankwo has hit another first-initiative with a potential to be a game changer. He is leading Nigeria to become the first African country to experiment with the Diaspora Bond. It speaks to the synergy within the President Muhammadu Buhari’s cabinet that all are working together to realise the economic vision of the government. Kemi Adeosun, the Minister of Finance, had hinted in February that the Diaspora Bond would be rolled out within the year. The National Assembly too was brought on board to support and approve it. Abike Dabiri-Erewa, Senior Special Assistant to the President on Foreign Affairs and Diaspora has also urged all Nigerians to take advantage of the first ever Diaspora offer by buying into the bond. A statement from her office explained that the Diaspora Bond will be used to raise funds from Nigerians in the Diaspora to finance capital projects and provide an opportunity for them to participate in the development of the country. She said her office as well as Nigerians in the Diaspora was excited as the first ever Diaspora Bond is being rolled out to the benefits of Nigerians. She noted that the issuance of the bond was a unique way of lubricating the interest of Nigerians in the Diaspora to participate in the developmental projects being carried out by the Buhari administration. As part of measures to fund capital expenditures, the Federal Government had in February announced an offer of $1 billion Euro Bond under its newly-established $1 billion Global Medium Term Note programme. 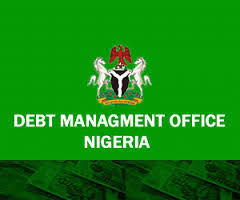 The DMO has also successfully launched a Federal Government Savings Bond (FGNSB). Mrs. Johnson wrote in from Abuja.